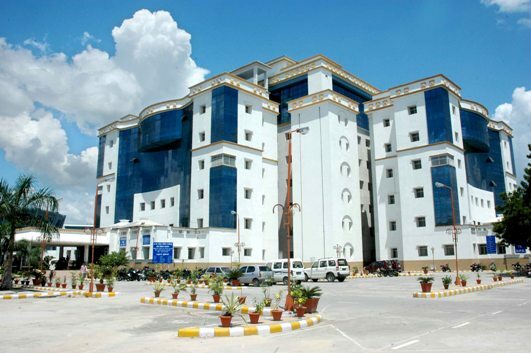 The Dr. Ram Manohar Lohia Institute of Medical Sciences,Lucknow is a Super Specialty Hospital and one of the reputed and leading teaching Institutes established by the State Govt of Uttar Pradesh. The Chairman of the Institute is Hon'ble Chief Minister Mr. Akhilesh Yadav ji. RMLIMS is situated in Vibhuti Khand Gomti Nagar locality of Lucknow. 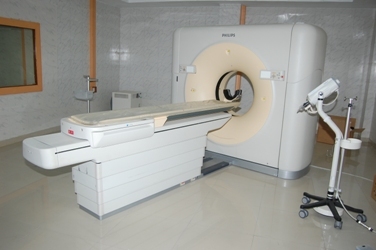 Besides super specialty treatment, institute would provide D.M., M.C.H., M.D., P.H.D., P.D.C.C. Degrees. It would provide holistic medical care including general care in various general,medical/surgical specialities,and in selected super specialities which are not available or grossly inadequate in this region. It will act as a secondary level as well as a selected tertiary level referral center for the poor population of this region at affordable cost. To create a center of excellence for providing patient care and educational facilities of high order. To provide training in para medical and allied fields. Patient care,educational training and research facilities will be comlementary to SGPGIMS. The medical Institute, with public service hospital will cater both to the poor patients who are unable to pay and to the population that has the capacity to pay on user charges at 'no profit no loss basis. Dr. Ram Manohar Lohia Institute Of Medical Sciences, Lucknow is an autonomous institute of U.P. Government, established on the line of Sanjay Gandhi Post Graduate Institute Of Medical Sciences, Lucknow. The Institute is established as an autonomous, independent satellite centre under the Act of State Assembly similar to SGPGIMS in accordance with the Sanjay Gandhi Post Graduate Institute of Medical Sciences Act Amendment dated 2004 under its own bylaws. The SGPGIMS will guide, supervise and coordinate in furtherance of the objects of the RMLIMS. This will ensure that the medical institute functions smoothly and independently in times to come and flourishes complementary/ supplementary to SGPGIMS. On 3rd June, 2006, Govt declared the Institute to be an independent Society. The Institute is registered under the Societies Registration Act 21,1860 and the Registration No. is 1982 ,2006-07 dated 4th Nov 2006. 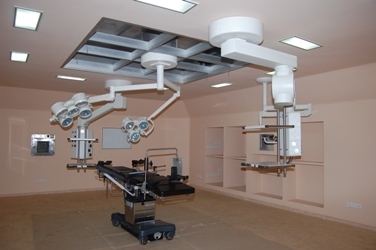 The main aim of this Institute is to provide super speciality facilities to the people easily. Address: Dr. Ram Manohar Lohia Institute of Medical Sciences,Vibhuti Khand, Gomtinagar, Lucknow. 226010.